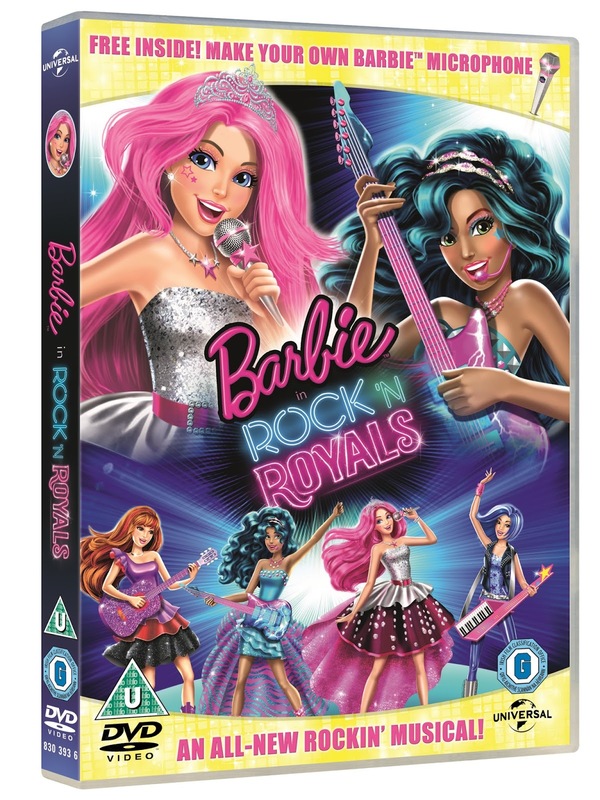 For all the Barbie fans out there, a new DVD called Barbie™ in Rock 'n Royals which is being released on the 31st August and I have a copy for my readers to win. My daughter is eagerly awaiting her copy arriving as she loves the Barbie movies, what a great film to finish the school holidays with. 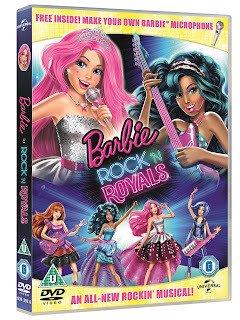 WIN Barbie™ in Rock ‘n Royals on DVD! I am offering one reader the chance to win a copy of the DVD! Barbie® stars as Princess Courtney, a modern princess whose world is turned upside down when a mix-up sends her to Camp Pop and Erika, a famous rockstar, to Camp Royalty! Both Courtney and Erika learn to adjust to the different worlds and have fun while making new, unexpected friends. When the girls learn both camps are at risk of shutting down, they must embrace their differences, find their true voices, and come together for an epic sing-off that shows anything is possible when you dare to dream big! Don’t miss this brand-new musical adventure, Barbie™ in Rock ‘n Royals, available now on DVD and Digital Download! 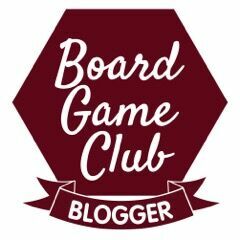 If you would like to win a copy then please complete the rafflecopter form below. ©2015 Mattel, Inc. All Rights Reserved. ©2015 Universal Studios. All Rights Reserved. Barbie: The Princess and the Popstar - we have that movie! Barbie of Swan Lake. My niece is obsessed with Barbie right now. Barbie in a mermaid tale is great! we love Barbie: The Princess and the Popstar. Barbie Swan lake. I went to see Swan lake on ice and it was only because of Barbie Swan Lake that I could actually follow the plot!